A downgraded HD-610, the Jinbei HD-601 studio flash offers an 'EasyCap' mode to help when creating clipping masks. Jinbei, the Chinese lighting manufacturer, has introduced the HD-601, a battery-powered studio flash with high-speed sync support. 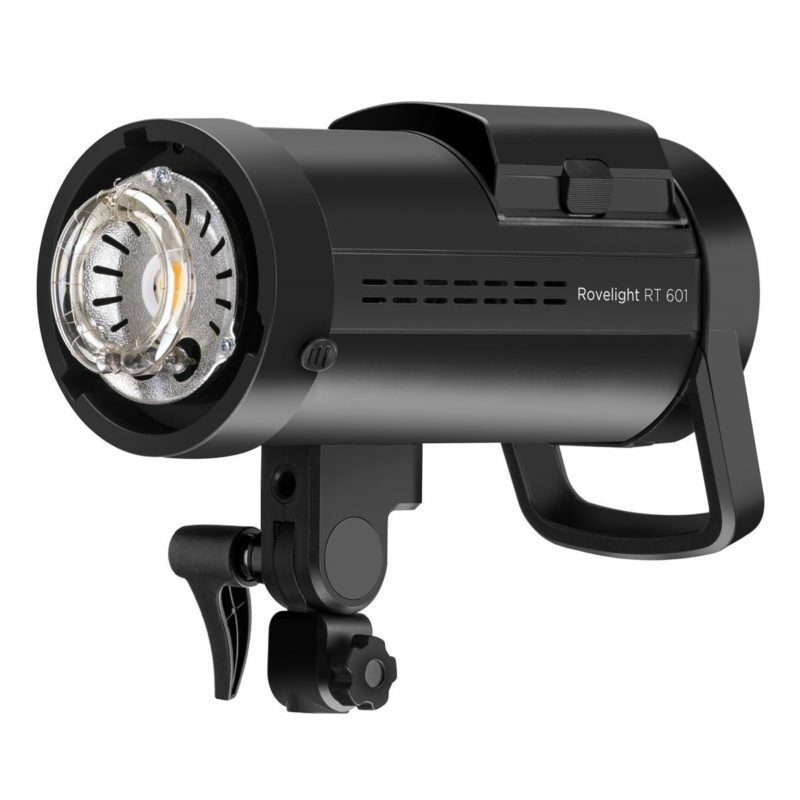 Also known as the Orlit RoveLight HD 601 in the US, it is a 500J head with an LED modelling lamp, manual power control down to 1/256 and built-in wireless control. 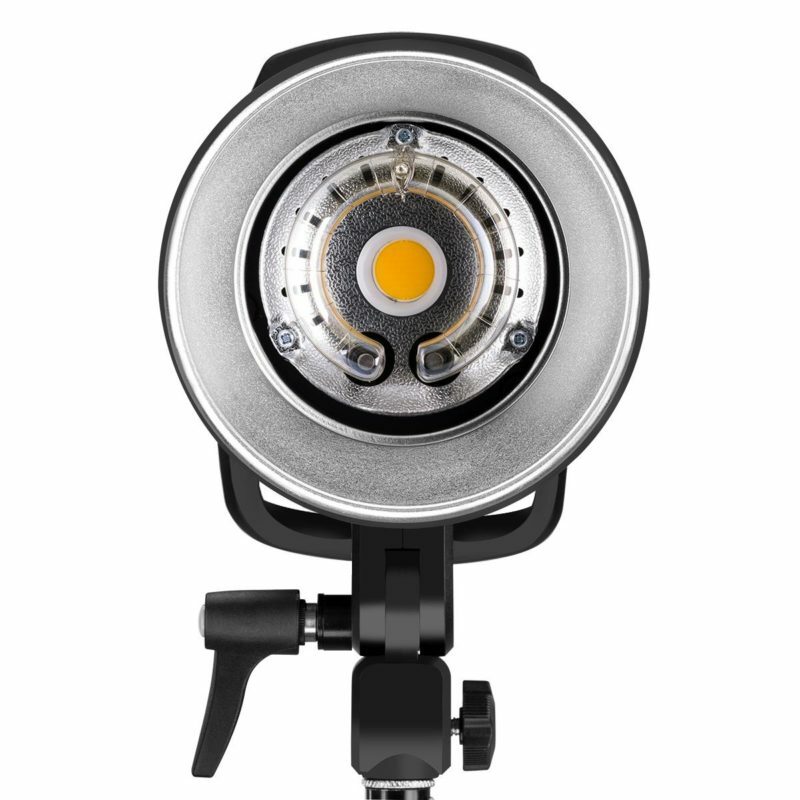 The HD-601 is a downgraded version of the HD-610 TTL monolight, priced about $250 less. TTL support has been removed, the energy rating has been reduced from 600J to 500J and the LED modelling lamp power halved to 10 watts. The controls have been simplified slightly and there is no longer a glass protective dome over the flash tube. You still get a removable 6000 mAh lithium-ion battery, specified to last for 500 full-power flashes, a Bowens S-fit accessory mount and a built-in 2.4GHz receiver that’s compatible with triggers for Canon, Nikon and Sony. Using those remotes, you can trigger the HD-601 at shutter speeds up to 1/8000 second. What’s more, the unit is compatible with the Canon RT system, so you can trigger and control it from an ST-E3-RT or a radio-enabled Speedlite. If you don’t want to keep charging batteries, an optional AC adapter lets you run the HD 601 from the mains. The manufacturer specifies the recycle time to be 2.2 seconds at full power, with a flash duration of 1/8000 second in normal operation and 1/19,000 second in ‘Freeze’ mode. Some handy functions are programmed in. ‘EasyCap’ mode—a bit like Hensel Freemask—shoots a sequence that alternates between your foreground and background lights, giving you a set of images perfect for creating image masks for later post-processing. There is also a delay mode, which waits up to 30 seconds before firing the flash. A USB port allows future firmware upgrades. 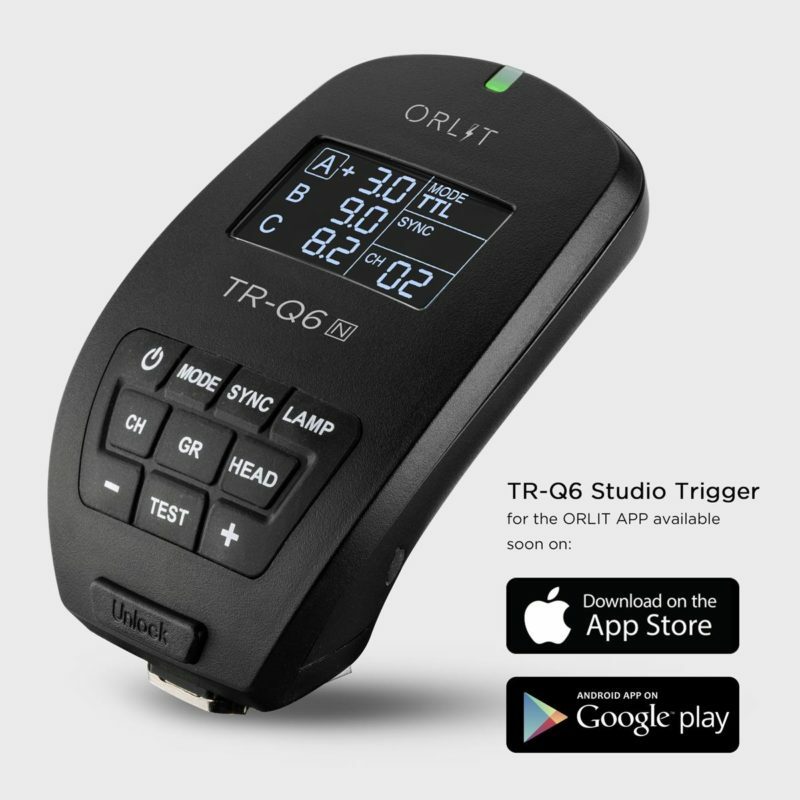 Jinbei and Orlit have also launched the TR-Q6, a stylish-looking flash trigger to use with the RoveLight. It has an LCD screen and dedicated buttons for adjusting power levels, modelling lamp settings, groups (A/B/C/D/E/F) and channels (0–15). Should you want to use your own triggers, the HD 601 has a 3.5mm sync port but you’ll be forgoing high-speed sync and remote control functionality. An upcoming smartphone app will let you control lights from your smartphone, using the TR-Q6 as a Bluetooth relay. Until the TR-Q6 is released, you can use the older TR-611 / TR-612 triggers for Canon and Nikon respectively (there is no existing trigger for Sony). 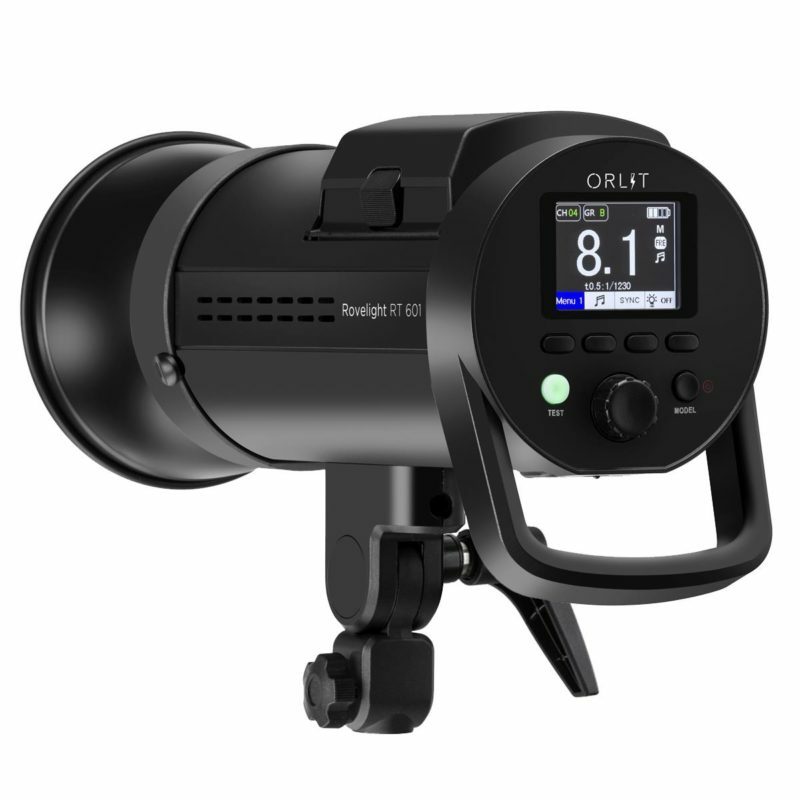 The Orlit RoveLight RT 601 and TR-Q6 are available to pre-order now from Adorama. You can also buy the OEM Jinbei HD 601 and related accessories on eBay. As always, check that it’s from a reputable seller. For more information, visit the Jinbei HD-601 or Orlit RoveLight RT 601 product pages.